Use this envelope with many other versions of the W-2 4-up forms. Please Request a sample to ensure compatibility. The security tint and cellophane windows ensure the privacy of information. This envelope is 5 3/4” x 8 3/4”. All W-2 envelopes are constructed of 24# envelope stock. Use the W-3 laser form to summarize W-2 information for the SSA. You must complete one W-3 form for each employer. 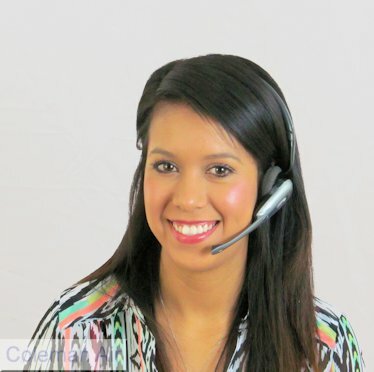 Forms are 8 ½ x 11 with no perforations and are required to be preprinted with red scannable ink. Order the quantity equal to the number of employers for which you need to file. Mail with the W-2 Copy A in a batch to the SSA. Miscellaneous Payments of $600 or more. The 1099-MISC form must be printed in a 2-up format (2 forms per page), instead of the traditional 3-up format due to IRS changes in 2001. This 3-part laser set includes preprinted Copy A (federal, red scannable), Copy B (recipient) and Copy C (payer). All 8 ½ x 11 sheets are printed on 20# laser paper; Copy A has a ½ side perforation and the remaining copies have no side perforation. Print each copy as a batch. Order the quantity equal to the number of recipients for which you need to file, you'll get all the necessary forms. Mail payer copies in a batch to the IRS. Use this envelope with any 1099-MISC, 1099-DIV, 1099-R or 1099-B 2-up forms, from anywhere! 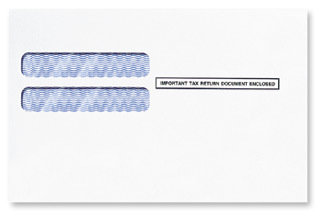 Due to the 1099-MISC format change in 2001, use this envelope instead of the traditional 3-up envelope. The security tint and cellophane windows ensure the privacy of information. This envelope is 5 ¾ " x 8 ¾ ". All 1099 envelopes are constructed of 24# envelope stock. Use the W-2 Copy A to print employer wage and withholding information to send to the Social Security Administration. This form is preprinted with red scannable ink. Forms are 2-up on an 8 ½” x 11” sheet with no side perforation (format changed in 2004) and printed on 20# laser paper. Order by the number of forms needed, not the sheet. Mail in a batch to the SSA.